Spontaneous Traveler, Cupcake Connoisseur, Multi-Tasker, Mom to Many, Bon Jovi fangirl, and blogger. When I think of beaches, I envision the end of the world. A place where the waves crash against cliffs or roll into the shore, rushing back out to sea. A place where the sun sets free all the colors it collected in its journey across the sky, reflecting them in a sunset on the canvas of the sea. Seldom do I think of the best hiking, or even the third-highest volcano in the world, 12,198 feet measured from the ocean floor, but Pico del Teide on Tenerife is all of this. Tenerife is the best of both the mountains and the sea. The north offers lush greenery, dense forest, and a mountain escape with views that will take your breath away while the south features beaches of soft sand, transparent turquoise water, and a beach lover's paradise. The Canary Islands are part of Spain, however, they are closer to Africa (62 miles) than they are to Spain's mainland (1,700 miles). Tenerife is so remote there are only two ways in. 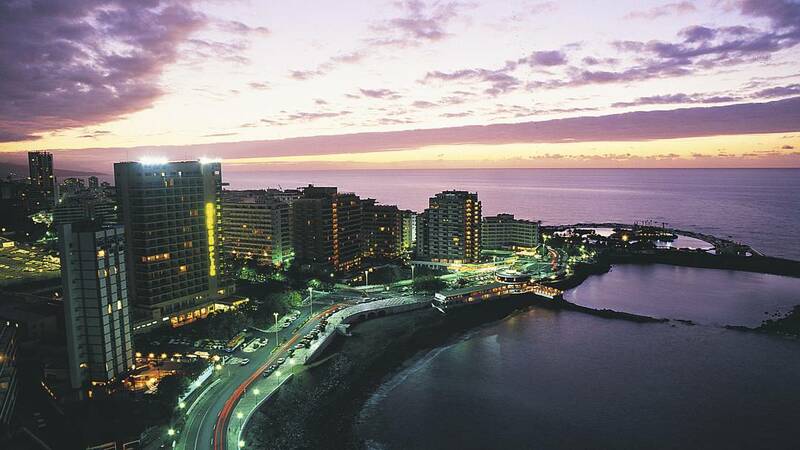 Tenerife is the largest of the thirteen islands that make up the Canary Islands, so remote that there are only two ways in flying in or by a ferry from the Spanish mainland. The latter will take nearly 20-hours. 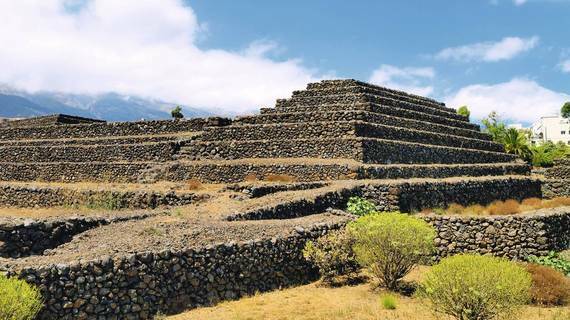 It is also the largest island in Macaronesia where the earliest known human settlement in the islands date to around 200 BC, by people known as the Guanches. Legends say that the Guanches had originally been Atlanteans who had survived when Atlantis went under the ocean because they were on the mountain peaks of the Canary Islands. 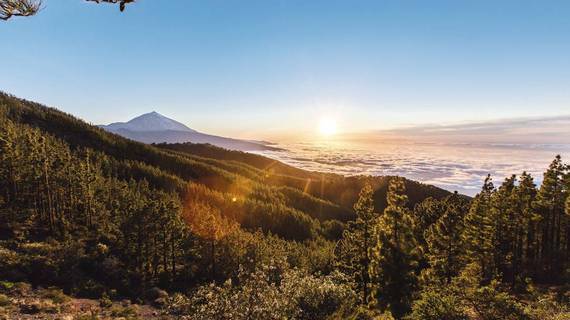 Spain's highest peak and the third-highest volcano, Mount Teide, is here. Now dormant, it last erupted in 1909. You can get within 218 yards of the summit by cable car. This is a World Heritage Site. It's the première place to see 21 of the world's 79 species of dolphins and whales. We're talking pilot whales and bottlenose dolphins. Perhaps you dream of gazing at the stars alone, or with someone you love. Tenerife offers skies that are clear. The stars light the darkness and air pollution is something residents only read about. It's the perfect setting for wishing on a million stars! Ethnographic Park is in the town of Güímar, just south of Tenerife. Here tourists can visit six pyramids. Truly a vacation with Tenerife as your destination will be one to remember and one that will etch itself into most memorable places you've seen. But don't just take my word for Ed Sheeran sings about love and the Tenerife Sea. Julee is a quirky, dorky, Virginia Transplant with an appetite to taste the world, meet its desserts and tell their stories. She enjoys traveling, writing, obsessing over Bon Jovi, watching movies, being a mom, and enjoying life's journey. She writes at http://mommysmemorandum.com about the chaotic comedy she's come to call her life.